Jackson Hewitt offers online tax filing services in the United States. Its features include tax refund processing, tax calculators, online support, and more. In this article, we cover user reviews and pricing. Ready to get started with Jackson Hewitt? Sign up for free. Users who gave Jackson Hewitt a positive review said that they were able to process tax filing transactions quickly. Some also mentioned that the customer support team was knowledgable and helpful. One user who gave Jackson Hewitt a positive review on Best Company said that filing taxes in one of Jackson Hewitt’s offices was a smooth and efficient process. He also added that their representatives were friendly, professional, and organized. Users who gave Jackson Hewitt a negative review said that they encountered inconsistencies with their tax refund pre-qualification results. One user who gave Jackson Hewitt a negative review on Consumer Affairs mentioned that he was still charged for processing his tax refund advance despite his application being denied. Jackson Hewitt has a free option and two paid plans that range from $69.95 to $109.95 + $36.95 per state filed. The main differences between the plans include the amount of taxable income, number of dependents, types of deductions, employment status, and investments. Ready to get started with Jackson Hewitt? Sign up for free. 5 Best Small Business Tax Software Providers 2018— Tax software helps small businesses prepare and file their tax returns for a fraction of the cost of an EA/CPA. In this guide, we looked at a range of possible tax software providers and found the top 5 best small business tax software providers. 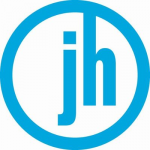 Can Jackson Hewitt users check the status of their refund with the IRS? No. For security reasons, Jackson Hewitt cannot check refund statuses with the IRS. Alternatively, users can go to the IRS website directly to check their refund status after providing necessary information. Can Jackson Hewitt users calculate their taxes on their own? Yes. Jackson Hewitt users can use the tax calculators to estimate federal income tax, earned income tax credit (EITC), estate tax liability, and self-employment tax. Not sure if Jackson Hewitt is the right fit for you? Read our reviews of all top tax software providers or check out one of these three Jackson Hewitt competitors.